In a locked vault in the base­ment of a medical facility in Rotterdam in the Netherlands sits a man-made flu virus that quite literally could change the world. In 2011, scientists sought to genetically alter a strain of H5N1 avian flu, not normally contagious between humans, to make it transferable between us. Such a pathogen if released could trigger a global pandemic the likes of which we have not seen for a century and, on paper, the consequences read like End of Days stuff. But the virus-making formula was known only to those handful of scientists and they were keeping schtum. They fought and won the argument to publish their work on the internet and a year later on the spurious argument of scientific freedom their recipe for how they engineered the virus was made public. That was a seminal turning point that opened the cyber gates on publishing all sorts of other how-to pathogen guides, including as recently as last year when controversially Canadian scientists published details of how for $100,000 and mail-order DNA they created a smallpox-like virus. In the 20th century alone, smallpox has been estimated to have killed up to 500 million people and was killing 15 million a people a year until the end of 1960s before in 1980 the World Health Organisation declared it effectively eradicated. "This changed the risk landscape for the re-emergence of smallpox," University of NSW professor of global biosecurity Raina MacIntyre said of the now scientific publishing of virus 'recipes'. "They did this experiment with $100,000 and mail order DNA so that highlights how easily it could be done. "This has been an intense debate held in the scientific and policy community, the public is largely unaware of it which is a problem." Professor MacIntyre calls it "biological winter", a world full of man-made infections growing quicker than can be controlled by drugs and vaccinations setting up a nuclear war style catastrophe. lab-made smallpox but have largely dismissed it as unlikely and too technically difficult as they focused policy more on security of the two known stockpiles of smallpox virus in the CDC labs in Atlanta in the US and the Vector Institute in Siberia, Russia. But the threat is now outpacing discussion starting with "what if?" 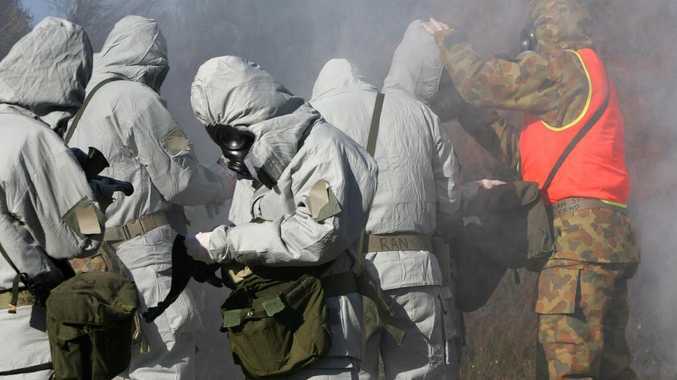 In August last year, Islamic State called for supporters to launch biological warfare on the West so now exists both the intent and the capability. The threat was discussed last month in Melbourne during a high-level summit for police from all states as well as specialist officers from the Metropolitan Police in London, the US and Canada. Professor MacIntyre, Kirby Institute's head of biosecurity program and NHMRC principal research fellow, is acknowledged as one the world's leading experts on epidemiology and detection and mitigation of bioterrorism and biological warfare. 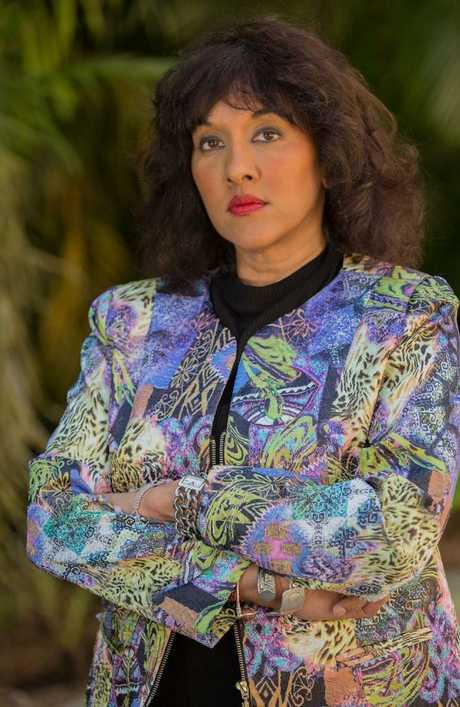 She said now that publishing these recipes for potential disasters had become the norm, the world needed some form of global governance and Australia specifically needed to change its thinking. "The problem we have is that there is no global governance mechanism," she said. "It's another technology driven phenomena, very analogous to cyber security where the technology has gone ahead, much faster ahead, of our systems and how we think about it, governance, our regulation, our legislation and then we are all just caught unaware. "It's my personal view that we are not trained and equipped to evaluate outbreaks as they occur and determine if it was a natural or unnatural outbreak and it is now a very valid question to ask because if you see a new virus appearing how do you know where it came from? "Did it arrive in nature or was it made in a lab? That is something that needs to be incorporated into our thinking." In May last year, Attorney-General Christian Porter tasked the former diplomat, secretary of the Defence Department and director general of the Australian Security Intelligence Organisation (ASIO) Dennis Richardson to conduct a comprehensive review of the legal framework governing Australia's six national intelligence agencies as well as the Australian Federal Police, Home Affairs Department and AUSTRAC. 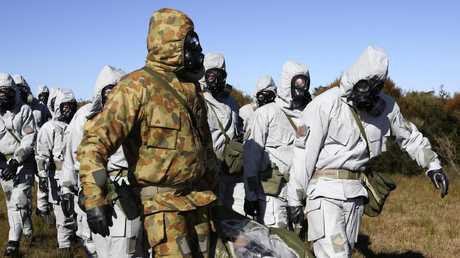 A classified report is expected to be produced by the end of this year but it is known to be specifically looking at the very issue of laws and frameworks around how we deal with biological warfare, including the backyard laboratories practising genetic engineering of pathogens and chemical agents to be used as "weapons of mass destruction" through epidemics and pandemics. Among recommendations being considered are the laws to facilitate intelligence collection and surveillance of a potential attack through tracking of trade in synthetic DNA material, equipment and supplies and or rogue scientists in medical or DIY labs. Some perceived "gaps" in laws for the Defence Export Controls regimen are being probed. How our law enforcement agencies collect intelligence domestically and abroad under legislation and how they co-operate and share with state police agencies and other stakeholders will be critical. So, too, will be with how fast they can react; neither law enforcement nor Defence have enough of the appropriate space-like protective suits to handle a contagion. 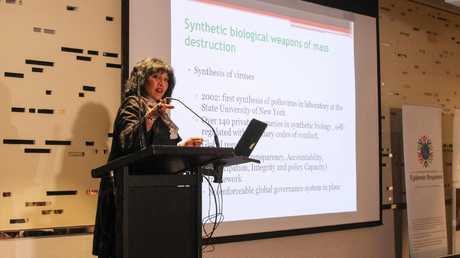 It has also been noted that a pandemic could curtail air travel and the annual movement of four billion passengers a year, create economic upheaval and, more critically, paralyse the sea movement of goods cutting supply chains with countries like China that produce more than two dozen of the most commonly used generic medicines used in Australia. "The review of national intelligence legislation, being undertaken by Dennis Richardson is the most significant review of Australia's intelligence legislation in more than 40 years," acting Attorney-General Greg Hunt told News Corp.
"The national security environment is constantly changing and it is essential that we ensure our agencies have the tools and framework they need to be effective and meet their core function of keeping Australians safe. This applies to any threat against the safety and security of Australians, whether that be from bioterror or other threats." Mr Hunt said the review built on 11 other tranches of legislative reforms by the Coalition government, designed to ensure agencies could be equipped and operate "with clear, coherent and consistent powers, protections and oversight". co-ordinate state and federal agencies combat an outbreak of serious infectious diseases. This came particularly after the World Health Organisation warned the world of an alarming rise in annual epidemics and "a Disease X", a savage pathogen that does not yet exist but will. The UK has such a centre so too the European Union and China and Canada created a CDC but only after 40 people died and authorities spent a billion Canadian dollars reacting to a SARS outbreak. structures, informal networks and goodwill. "That all works well when things are going well but it hasn't been put under the test, under the Bunsen burner of a crisis pandemic from a bio attack," he said. 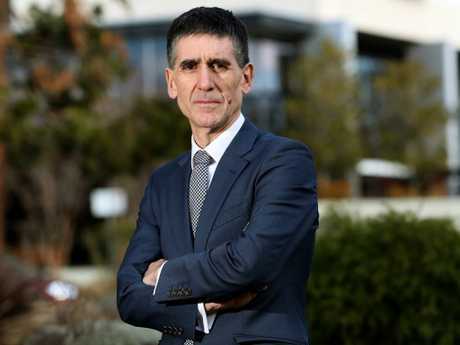 "We are the only country in the world in the OECD that doesn't have a CDC or a centralised task HQ … it's about not waiting for things to go wrong before looking at moving to the next level." A partnership between three of the world's top universities the UNSW, Arizona State University (ASU) and King's College London, known as the PLuS Alliance, was created to look at the world's major challenges in areas including health and technology. 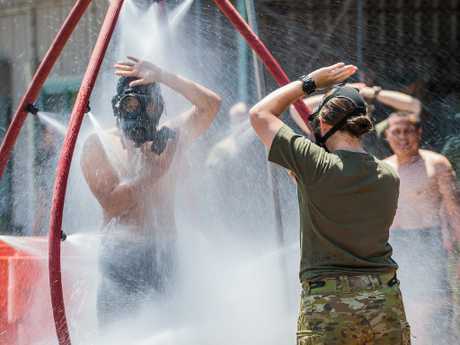 Last year the group joined with experts from foreign affairs and trade, health, police and defence from Australia, New Zealand, the US and Fiji and other Pacific nations for a bioterror exercise. "We simulated a smallpox outbreak originating in Fiji and how within weeks it had travelled across the globe," he said. The evidence-based course designed by Prof MacIntyre, the Fiji Ministry of Health and UNSW's School of Public Health and Medicine and medical adviser to the Australian Defence Force, Associate Professor David Heslop, found the modelled death rate of smallpox, that is spread through the air and more than twice as infectious as ebola and influenza, may be as high as 45 per cent if it re-emerged today. Based on the study, in the event of global spread first responders would need to isolate 70 per cent of smallpox patients and track and vaccinate at least 70 per cent of their contacts. doses of vaccine to bring the epidemic under control; WHO's current stockpile contains 35 million doses of vaccine. WHO has specifically told the federal Government it was now not a case of if but when a major natural or unnatural pandemic strikes. "I'm not trying to create an air of panic because what's going on at the moment is working well enough and there's no immediate issue," Dr Bartone said. "The problem is people who wish to do harm, people who seek to create havoc have infinitely more and more resources available, costs are going down so its upscaleable to create the necessary threat level and a really big problem." 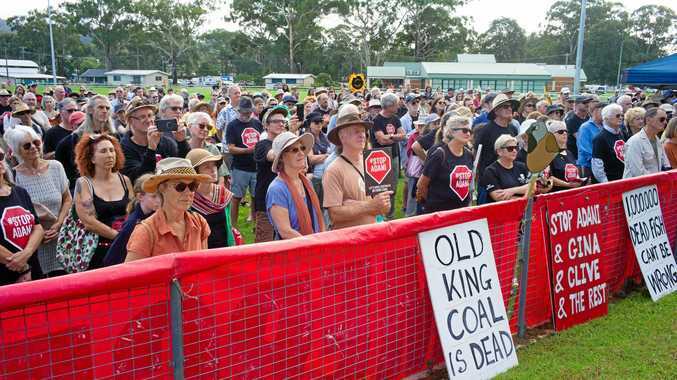 Politics THEY'RE the touring group who have dominated headlines for the past week and Coffs Harbour was the focal point of their movements over the Easter weekend. Breaking THE women fled from the scene of the assault on foot. News POLICE are seeking information on the alleged assault on the driver.